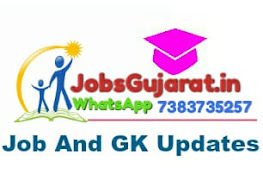 We Are Daily Updated Latest Gujarat & India Level All Types Government Jobs.We also Updated Various Exams schedule also. Also Answer key, Result, Question Paper, Merit and Selection Lists. We Also Provides GK, All types, Most Important Study Materials Related General Knowledge, SSC Vacany Announcement 8300 Post, English Grammar, Gujarati Grammar, Maths, Science, History, Geography, Model Papers, Exams Old Papers, GK In Mp3 And Video Formats also. For All types COMPETITIVE EXAMS Like TET/TAT/HTAT, GPSC, Talati, Clerk, Police Constable And All Others. Also Good Study materials for Primary, secondary, SSC Vacany Announcement 8300 Post, High Secondary Students. Also Updated Primary School Latest CIRCULAR Education News Paper News, Pragya Abhigam Latest Mobiles, Computer also. And other Technology Tips Tricks with Images And Videos also.